AFK STUDIO Vape Bracelet Pod kit is designed innovatively as a bracelet shape, which tends to be not only a pod kit for your vaping, but also a decoration for your handsome self. It comes with 300mAh built-in battery, 0.5ml e-liquid capacity and 1.8ohm ceramic coil. AFK STUDIO Vape Bracelet Pod kit is designed innovatively as a bracelet shape, which tends to be not only a pod kit for your vaping, but also a decoration for your handsome self. Fashionable enough to wear on, the AFK STUDIO Vape Bracelet Pod Kit is made of Food-grade silicone & dust-proof material. 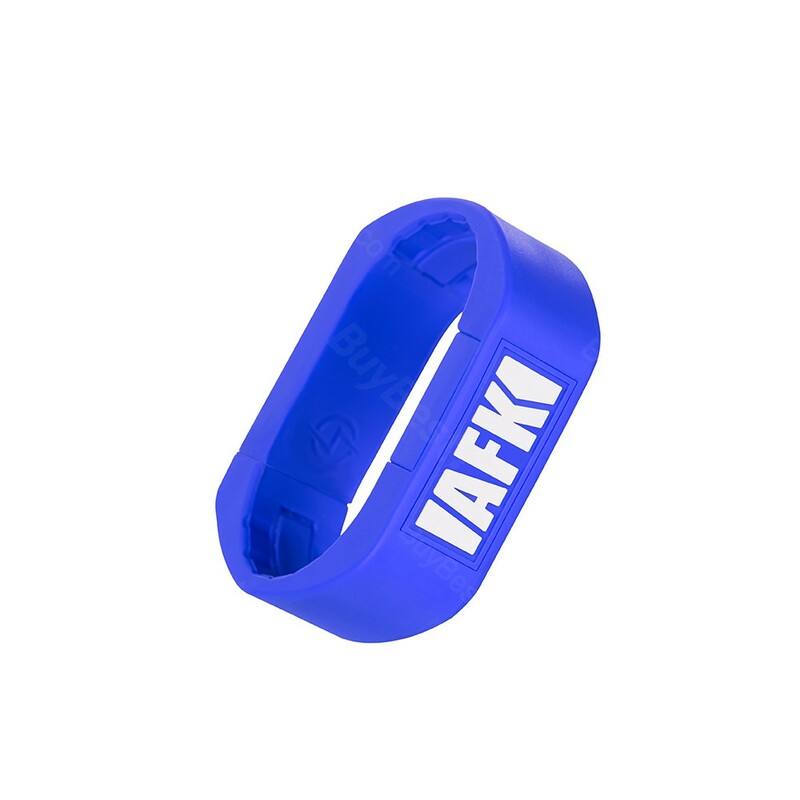 By the working of 300mAh built-in battery, the AFK STUDIO Vape Bracelet can provide you a long vaping time. And it has 0.5ml e-liquid capacity and 1.8ohm ceramic coil. Come and get one AFK STUDIO Vape Bracelet Pod Kit for an interesting and amazing vaping. • It doesn't come with e-liquid; you have to buy it separately. • AFK STUDIO Vape Bracelet Pod Cartridge is also available in BuyBest.